DAVID LE/Staff photo. 3/7/15. 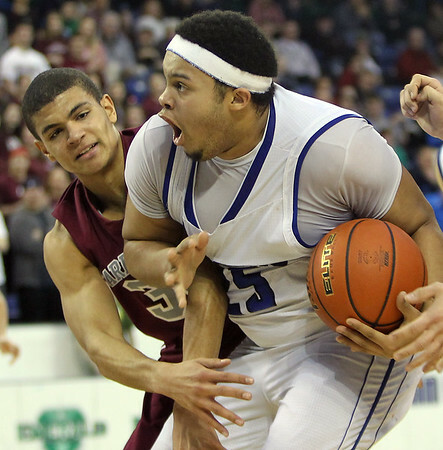 Danvers senior captain Devan Harris (25) wrestles a rebound away from Arlington senior Miles Robinson, left, during the D2 North Championship on Saturday afternoon at the Tsongas Center in Lowell. The Falcons defeated Arlington 50-47 to capture the D2 North Championship.